Timed essay tests can bring about a great deal of stress for students. 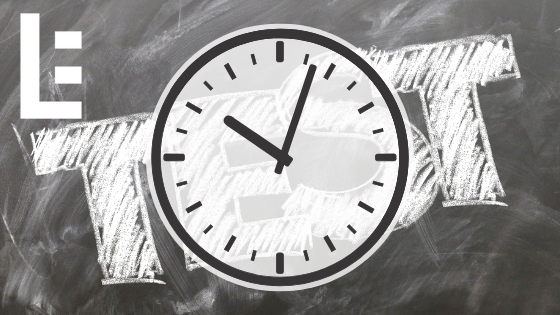 The ticking clock is certainly a catalyst when it comes to test anxiety; however, the unknown components of an timed essay test are also daunting. The fact of the matter is, timed writing tasks will be a standard aspect of every student’s education at some point. Another fact, thankfully, is that there are strategies that students can employ to conquer these seemingly insurmountable timed essays. When students sit down to take an essay assessment, the clock begins counting down and nerves often take over. In a time-crunch, many students follow the impulse to put pencil to paper as quickly as possible and write until their wrists can take no more. The issue, however, arises when the completed essay fails to actually address the prompt or essay question. To avoid this, students should first carefully reread the prompt in an effort to put it into their own words. By rephrasing the question, students ensure that they fully comprehend what the prompt is asking and are able to more specifically begin to address it in their writing. 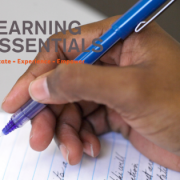 The few minutes that students spend sketching a plan for their essay will be returned twofold in the sense that, with this quick roadmap, they will have to spend less time figuring out the general direction of each paragraph since the essay is already loosely mapped out. The outline should include only bulleted information, not complete sentences. Page numbers for direct quotes or other references are also helpful on the outline. While each essay and outline will obviously vary, the same components are usually suggested for informational, argumentative, or expository responses. A general statement, in which the topic, subject, theme, or concept is very generally introduced. A specific statement, in which the general statement is given some specificity, elaboration, clarification, etc. A thesis statement, in which the argument, claim, or goal of the response is introduced. Transition words to organize the points, evidence, support, etc., in order of importance. Introduction to the text evidence by title and/or author. Direct quotes to support the original thesis statement or claim made in the introduction. Interpretation of the quotes and explicit statement of how the quotes support the claim or argument. A restatement of the thesis; advanced writers in middle and high school grades should work to rephrase the thesis statement. The overall claim or argument is the same; however, the wording is varied to avoid redundancy. A final confirmation of the texts that were referenced and how they specifically relate to the topic or prompt. A final statement to again generalize the purpose of the essay. **Students should get in the habit of using words directly from the prompt in their introduction and conclusion paragraphs to ensure that their responses are thoroughly and clearly connected to the prompt. It helps to read a response with fresh eyes to determine that writing is consistent and relative to the purpose of the prompt. If students have time at the end of a timed writing assessment, it is beneficial to reread each paragraph individually, referring back to the prompt in between paragraphs to ensure that each component (paragraph) serves its purpose and clearly answers the prompt. Unless otherwise specified by the teacher, students should avoid spending too much time contemplating spelling errors. Most often, timed essays are scored on content, including word choice, sentence structure or variation, and other content-driven writing skills. Therefore, perseverating over spelling is generally unnecessary. Instead, students should spend their time crafting and honing their argument.